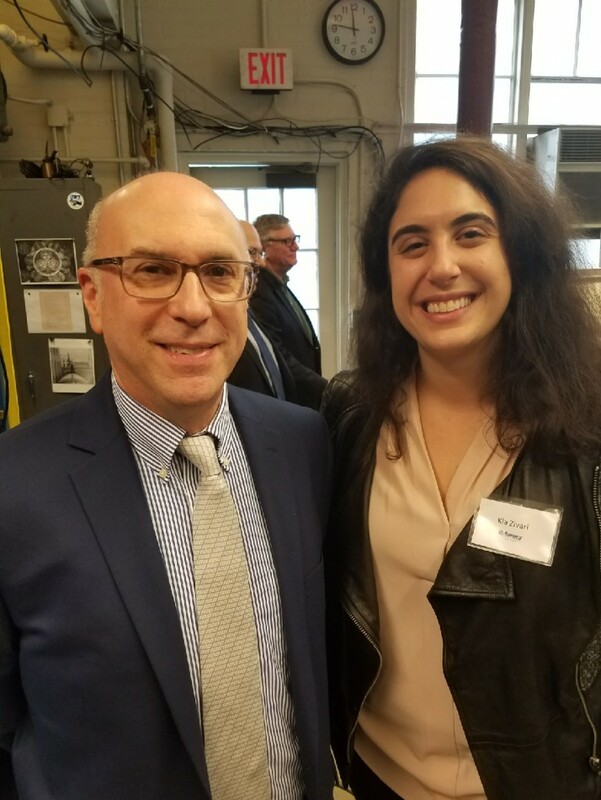 Welcome to the Wheatley School Alumni Association Newsletter # 17. Thanks to our fabulous Webmaster, Keith Aufhauser (1963), you can regale yourself with the first sixteen newsletters (and other Wheatley data and arcana) at http://www.wheatleyalumni.org/. Alternatively, if you are completely uninterested in Wheatley matters, don't hesitate to ask me to remove you from my general distribution list. The news below is set forth in faculty-first-then- graduation-year order, rather than the old lives-then-deaths (of which I have reported several in here) sequence. Last, and least, comes fan mail, which I always appreciate. Once again, I have allowed myself the liberty of light editing, without any indication thereof. A few quick favors I ask of you. First, we need Class Correspondents for the following years: 1968, 1975, 1981, 1984-1989, 1991, 1994, 1998, 2000, 2002, 2005, 2007, 2008, 2010-2017. It's an easy gig, mostly ceremonial in nature. If at all interested, please let me know. Second,if you never have, or haven't recently, please review the on-line Lost-List and send me e-mail addresses (the coin of the realm) you have for these people, or at least ask them to contact me directly. There are thousands of names, you probably know someone. Finally, all those old Aurora yearbooks you have lying around, getting moldy, that you never look at, just taking up space? I gladly accept donations and will pay postage. I need to correct two significant goofs from last issue (# 16). Cliff Montgomery, 1965, is, well, Cliff Montgomery, not Montgomery Cliff (and clearly not Montgomery Clift, the 1950s era movie actor, of whom my subconscious must have been thinking). Debra Copeland, terrific 1974 Class Correspondent, is, well, Debra Copeland, not "Deborah Copeland";. Finally, before beginning in earnest, a word from our sponsor: The Sixth Annual Wheatley School Alumni Association NYC Lunch, held on Tuesday, February 13, 2018, was a smashing success. As usual, The Class of 1966 took top honors. 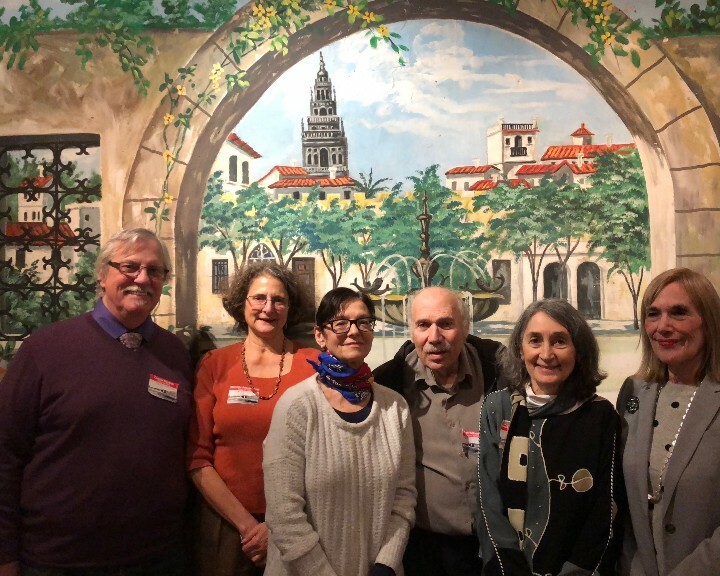 Here are most of them: L to R – Charles Trantum, Marjorie Schuh Silver, Silvia Kay, Dan Willard, Karen Wattel Arenson, and Meryl Brodsky. For the out-of-town set, two 1972 graduates, in opposite corners of the country, are interested in organizing Wildcat groups and/or events: Jill Gaines Sieden, 425- 749-1482, JILLSIEDEN@GMAIL.COM, in the greater Seattle-Portland area, and Amy Cohen Shenfeld, AJ6854@AOL.COM, who graduated a year early to attend the University of Miami and never left the scene. “I was practically still a girl (23) when I started teaching at Wheatley and now I'm 77. The yearbook photographer took me for a student!! He was sorry to have wasted so much film on me - just a teacher! Most of my colleagues are now over 80. Bentley, Whitcomb, Feindler…..gone! I loved teaching French to you Wheatley kids! “As I haven’t see any reports from my class, I thought I would offer “my story.” And I wanted to make the point that someone from THE FIRST CLASS should provide some representation in your series of newsletters. After all, it was our class who established Wheatley for what it became, and we chose the school colors, motto, mascot, newspaper and yearbook titles, etc. (Of course, I personally didn’t have much to do with all that at the time, being the super-nerd that I was, but in lieu of anyone else stepping up from my class, I’ll take credit for it!) And indeed, Wheatley did become one of the top public high schools in the Nation, for which I am very proud. We all have made major contributions to our society. So now, about me! Very briefly, I graduated from OUR SCHOOL in June of ’58, went to Washington & Lee University for my Bachelor’s in physics, came back home to Roslyn and went to NYU to do my graduate work, and eventually got a Masters and a Doctorate in physics. About that time “Uncle” decided he wanted my body in Viet Nam, and since it was just before the Tet Offensive, that wasn’t the best time to be going over there. slowed down. But it’s been a great ride and I would like to think that I actually “made a difference” along the way. As for the rest of “me”, I’m still in pretty good shape – I run, I bike, I work out usually at least 5 or 6 days a week, and I (try to) eat healthy (except for those two horribly vicious individuals, “Ben and Jerry”, who continually try to attack me!). And I think I left that “nerdy” part of me way back in the past. My three kids (47, 45 and 41) and seven grandkids are all doing great. The one real downer to my story is that I had an eighth one, a seven-year-old grandson, who died suddenly a few months back of a completely unexpected brain aneurism. Needless to say, the whole family was severely rocked by this and it will be a very long time, if ever, that we will be able even partially to put this behind us. 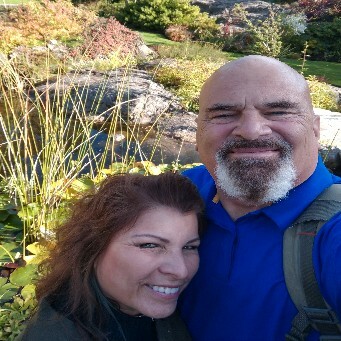 For the past 20+ years my “significant other” and I have been living in Bethesda, MD, just outside of D.C. Then, a couple of years ago, her mother passed and left a beautiful condo down in Palm Beach, so we have now begun the “snowbird” life – down here 4-5 months a year and then back up in MD for the rest. And we enjoy our life together. We do theater, volunteer work, travel, etc., and we are very close with my kids and grandkids. The class of 1960 will again have a mini reunion on St. Simons Island, GA at Charlie Zimmerman’s home. It will take place 4 to 6 May, and preliminary feedback has many classmates attending. It had been scheduled for Oct 2017 but was postponed because of Hurricane Irma. Be well, be warm! Deceased. 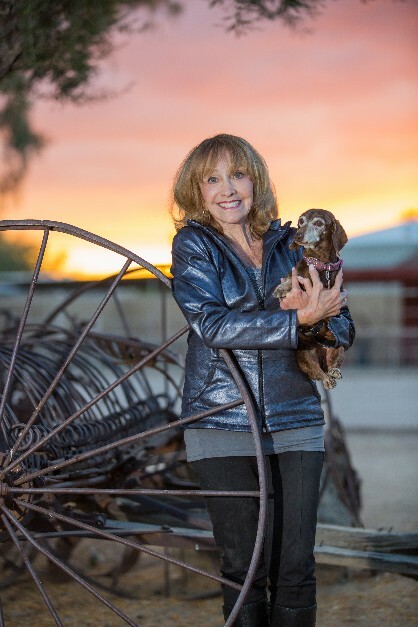 Appreciation by Bari Mittenthal Mears: With Deep Sadness I must share the loss of my dear friend and college roommate, Barbara Meizel Goodman. Barb and I were friends at Wheatley, but our real bonding began when we discovered that, purely by chance, we were to be first-year roommates at Syracuse University! Coincidence, or meant to be?! visits to see each other.....always sharing our respective journeys. Our friendship ran the gamut from early years to the present. 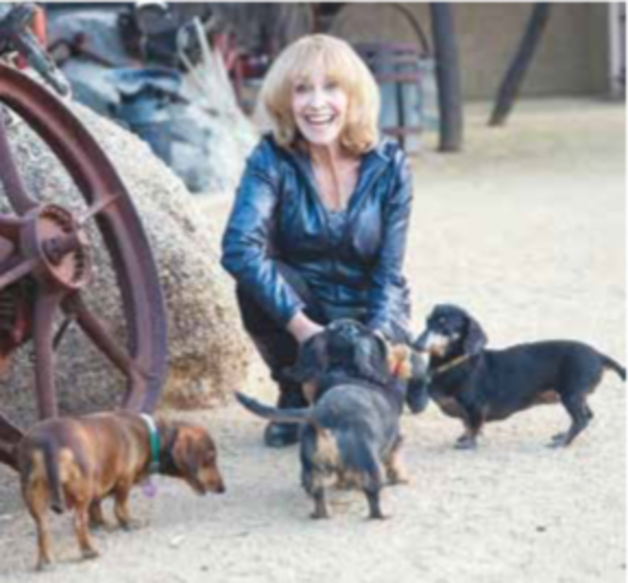 Barbara was a joy to know, with her fast and sincere smile and her contagious laugh. She was brilliant in math, and after graduation she found work at Honeywell in very responsible positions... especially for women at that time. She was fun, loyal, intelligent, interesting and my dear friend. And of course she loved animals! She was beautiful both inside and out, and I was devastated, a few years ago, to learn of her debilitating disease diagnosis, which was a form of Parkinson’s.....but worse. She handled this bravely from beginning to end. 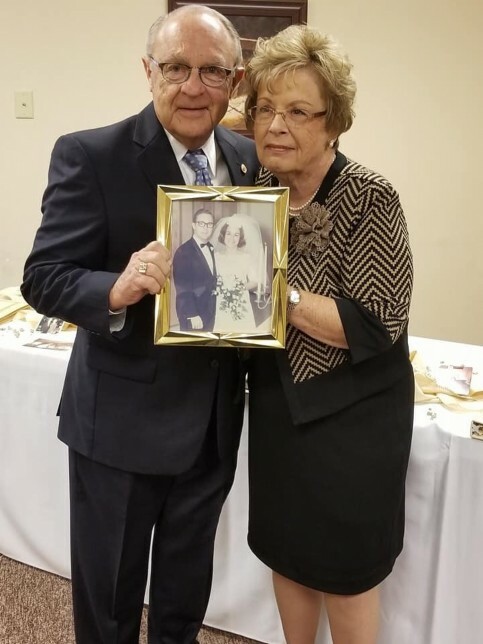 Her wonderful husband, Dr. Fred Goodman and her two handsome sons are left now with memories as I am, of an amazing lady, their mother, my friend for life. 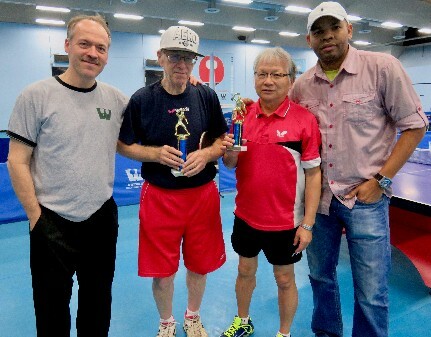 Jerry won the national over-70 table tennis championship at Will Shortz' club in Westchester (second from left, in black shirt). PACC911.orgwebsite. It is far more than a fun thing for animal lovers. We do very serious work and have for the last 20 years as we enter 2018! 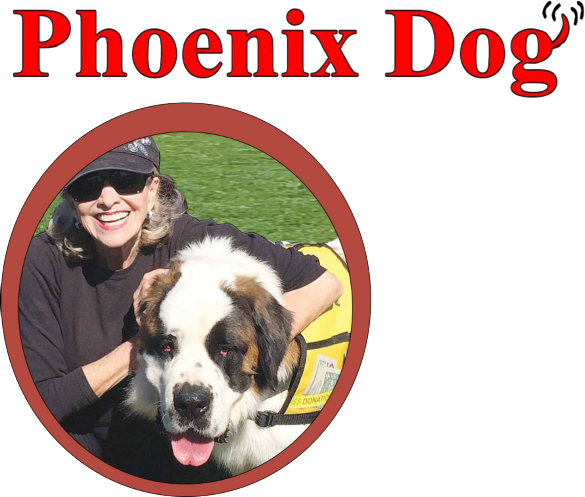 We have paid out close to 2 million dollars in medical grants to our rescue partner groups…..check out the medical section and look at the gallery of faces we have helped to save. 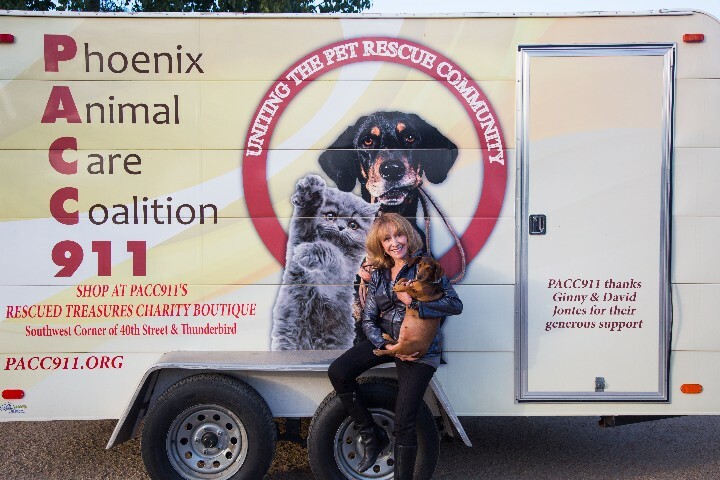 We are a major resource in AZ for animals and have been invited to consult with many other cities about starting same such organization in their areas. I was an AFS-exchange student from Japan at Wheatley 1960-61. As I have learned the sad news that my host sister, Lauren Jacobs Komack, passed away last year, all my good memories came back to me all of a sudden! I had the urge to write a few lines to the Wheatley Wildcats. The last time I saw Lauren was on the French Riviera, where she celebrated her 50th birthday, as she rented a nice villa near Canne and invited her family, relatives and friends. My husband and I drove from Germany and spent a wonderful week with them there. Yes, I have now lived in Germany for almost half a century. I spent only one year at The Wheatley School, but I cannot imagine my life at all without this good year with special experiences! After graduation I went back to Japan and studied Cultural Anthropology and went back to America, this time to Hawaii, to do my graduate work in Polynesian Linguistics at the University of Hawaii and at the University of Auckland in New Zealand. In Hawaii I met my future husband, a German physicist, and since 1969 I have lived in Germany. My husband travelled to all parts of the world to lecture on Robotics, and I have accompanied him very often. We have one daughter. Her profession is an intercultural trainer and consultant for large German companies doing business with Japanese companies. As a student she spent one year in New Zealand and we also hosted an exchange student from New Zealand for one year in Germany. Now we have four grandchildren. We live on the same street, in the suburbs of Munich. All my grandchildren speak German and Japanese fluently, because we go to Japan every year and they are accepted in the kindergarten and the school there as regular guests. I have published several books about Germany in Japanese and about Japan in German. 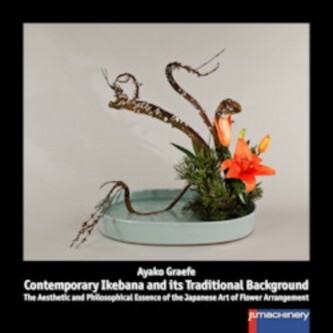 Last year, however, I have published a book for the first time in English: “Contemporary Ikebana and its Traditional Background” and have received positive feedback from not only Ikebana devotees but all kinds of friends of art with multicultural interests. The book is available through Amazon. Thus, I am enjoying my multicultural life style very much, which began 1960 at Wheatley! Mr. Foerschner’s 6th grade North Side School class, that the following year would form part of the first 7th grade class at Wheatley. I was fortunate enough to catch up with some of the others pictured when we had a 50th- year reunion party in New York in 2012. I remember Mr. Rosenstein and Mr. McCormack quite clearly and enjoyed their classes. When I told Mr. Rosenstein that I wanted to study chemistry in college I seem to recall his skepticism. In spite of that, I went on to obtain my Ph.D in chemistry. Following that I spent some time in the Army; went to work for the Army Corp of Engineers, as a civilian, in the area of environmental chemistry (dredging harbors and rivers); then on to the ink industry, concluding my working career in the papermaking industry. Along the way I taught a summer course at Lehigh University, consulted with some government labs – FBI, Secret Service, and the Army Criminal Investigation Lab. Business travel had several memorable excursions to Buenos Aires, Rio, Lima, Mexico City, Sydney, Tasmania, Dusseldorf and Bordeaux. Of course, there were many forgettable locations, too! For “amusement” I found the adage of Nobel Laureate Roald Hoffmann: “There’s no question that stinks and bangs and crystals and colors are what drew kids – particularly boys – to science,” applied to me. Given large chemistry sets as a youngster, I created my own stinks and bangs. All this was forsaken when I went off to college, but in 1982 I stumbled across the Pyrotechnics Guild International and, as another saying goes - "He who hath once smelt the smoke is ne'er again free." I’ve stayed involved with fireworks, at all levels, ever since. Must be something in the smoke. Perhaps one of the more intriguing remembrances I have of Wheatley is that on our last day, in a crowded hallway, Mr. Levin, my Social Studies teacher, came up to me and asked what college plans I had. I told him that I was going to pursue Chemistry, and he offered that I ought to consider Political Science. I should have asked right there and then why on Earth he thought I had any interest in political science, but if I did I can’t recall his answer. In hindsight it seemed to be a question out of the blue. Fast forward 40-50 years and here I am, in Columbus, Ohio, taking, just for fun, political science courses at The Ohio State University. Mr. Levin was very prescient. PS: For people unfamiliar with OSU it is “required” that it be referred to as “The Ohio….,” I suppose this is to distinguish it from Ohio University, something I failed to do when I first moved here. 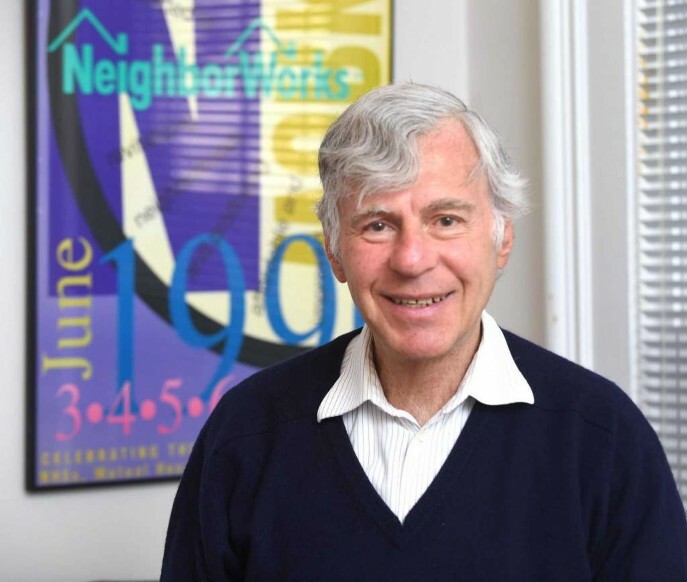 Jim Paley, founding Executive Director of Neighborhood Housing Services of New Haven, is photographed in his office in Sherman Avenue. 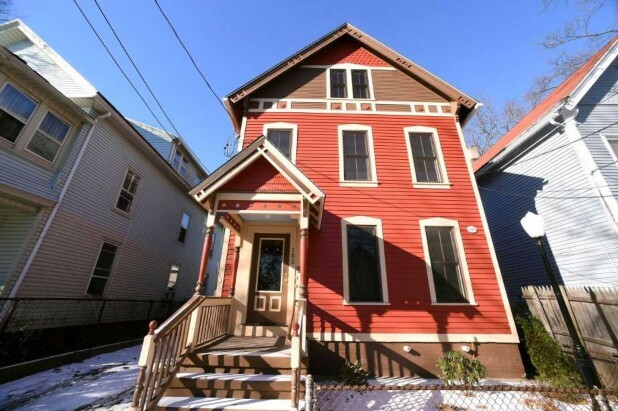 One of the houses recently rehabbed by Neighborhood Housing Services of New Haven, at 152 Newhall St.
NEW HAVEN — “Jim Paley has returned to his Sherman Avenue office, working as he has since 1980 to bring affordable housing to New Haven’s poorest neighborhoods. A major stroke on Nov. 10, 2016, and massive internal bleeding from an ulcer in April 2017 threatened that 38- year record of leading Neighborhood Housing Services ofNew Havenas its founding director, turning more than 250 blighted or newly built houses into homes that not only increase the city’s affordable housing stock but transform neighborhoods into safe, secure communities. Paley still shows the effects of the stroke. He doesn’t have full function in his right arm and leg. And when he collapsed with a bleeding ulcer at a wedding in Mexico in April 2017, he came close to death. He required a transfusion of 11 pints of blood — more than the eight pints the human body normally carries. There was no guarantee that his cognitive abilities would return. “When it happened, I had no language, I had no cognitive skills and they gave me a very poor prognosis,” Paley said last week. 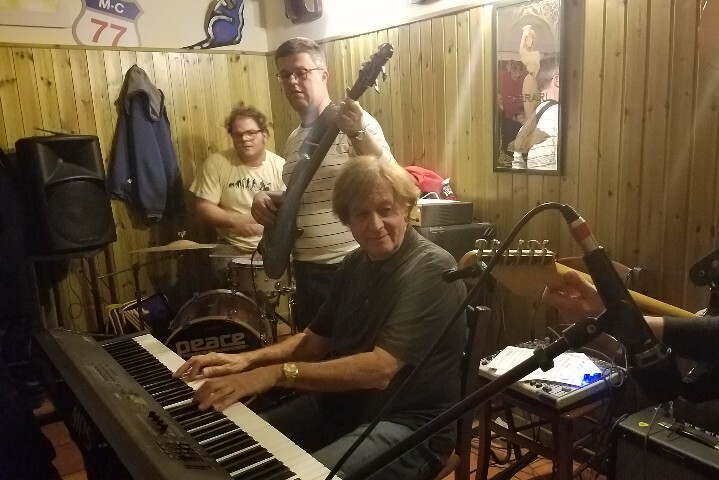 So, it was a major event when Paley’s recovery was celebrated at Neighborhood Housing Services’ annual meeting in October at Anthony’s Ocean View. When the stroke hit, “It was 30 hours after the election of Donald Trump. … I was very agitated. I had gotten no sleep that night, then I was on a plane to Atlanta that morning,” he said. 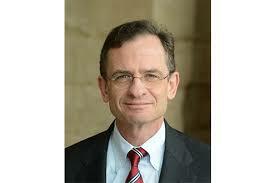 He was on his way to a meeting of Community Housing Capital, which he serves as board chairman. That night there was a board dinner. The next day, “It was 9:30 in the morning and I started feeling dizzy, and I said, ‘I think I’m having a stroke,’” Paley said. He was brought to Emory University Hospital, where he spent eight days, followed by a month at the RuskInstitute of Rehabilitation Medicine, part of the New York University’s Langone Health System. Between Dec. 18, 2016, and March 3, 2017, Paley underwent physical therapy at Montowese Health and Rehabilitation Center in North Haven. Paley, 71, has learned to adapt to his limited use of his right limbs. He’s learned to type one-handed, and he’s using dictation software. In the midst of rehabilitating from the stroke, Paley suffered a major setback. “I was at a friend’s daughter’s wedding in Playa del Carmen in Mexico, and right after the wedding I began to spit up blood. They found a huge ulcer,” he said. For Paley, “2017 was a rough year for me in many respects, and I wasn’t too disappointed to put it in the books and start a new year.” He and his wife, Sharon Paley, spent the new year in Puerto Vallarta, Mexico. “We got home at the stroke of midnight … and had peanut butter and jelly sandwiches to celebrate the new year,” he said. That's me on the left, playing piano, with Bob Stern (1965), on the right, playing violin, in my home in Rhinebeck. Norbert Marius is on bass, and Gil Gutierrez is on guitar. I also have an apartment near Gramercy Park, in Manhattan. I'm still engineering audio-video- control systems for recording studios, restaurants/hotels, and residences. I am the smart-house guy! 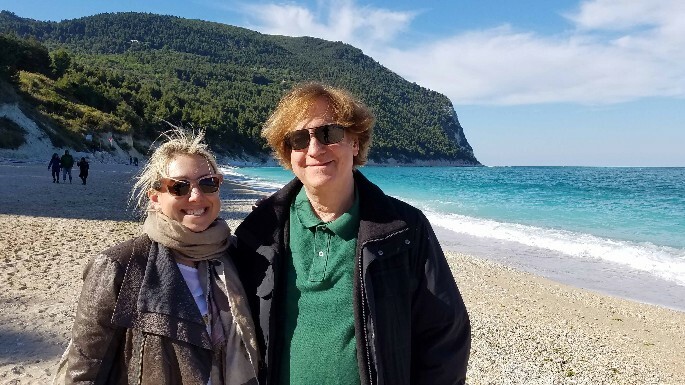 My daughter, Tara, has been living in Italy for over 5 years, staying there after completing her MBA at the University of Bologna. I finally visited her last May and she hooked me up with a jazz group and we played a popular jazz club in Recanati. I am moved by the commentary about Bill Nuebel. I got to know Bill & his family through one of his sisters - all wonderful people, as was Bill. I always felt honored to have known him. May he Rest in Peace. God Bless. Appreciation by Ike Evans (1965 Class Correspondent) – “Arlene died on December 21st, 2017, out in California. This came as a particularly significant blow to me personally because Arlene was one of an exclusive group of classmates (13 in all) that lived in the small section of Albertson we used to call "Albertson Downs". Others in this group included myself, Sally Jablon, Jay Weinstein, David Mahler, and Mady Land. Arlene had been dealing with a number of chronic health issues in the past few years. She leaves behind 2 wonderful sons and 3 beautiful grandchildren. Her husband, Tim Ford, died quite a while ago. The family requests that if you wish to make a contribution that you do so to the U.S. Merchant Marine Academy Alumni Fund, Kings Point, NY 11024. According to sister Martha Radovsky Feinstein (1969), Arlene had gone to work there for the sailing master and worked for him for several years. During that time, she met a midshipman, Tim Ford, and they married a few months following his graduation. Tim spent a few years going to sea as a deck officer and an engineer, following which he was employed by the Academy (Assistant to the Commandant) and began taking courses at Fordham Law School at night. They lived on campus in a great little house referred to as Quarters E, which is where they were when their son Peter was born. Following graduation from Fordham Law, Tim went to work for an admiralty firm on Wall Street. 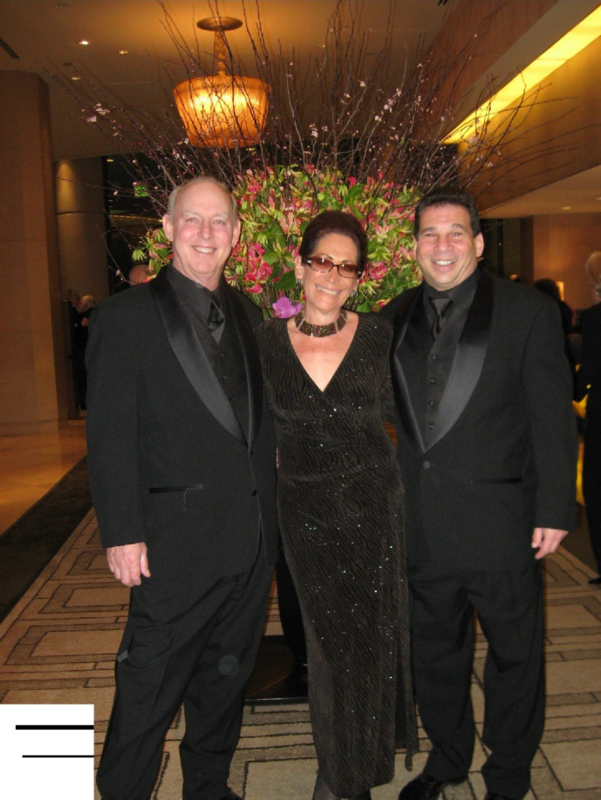 After moving to California, Arlene had been the executive director of a drug & alcohol rehab facility in West LA. Martha said that on the occasion of their parent's 40th wedding anniversary, Tim was able to get the entire USMMA band to perform, and because of that, Arlene's sons are requesting donations to the USMMA Alumni Fund. 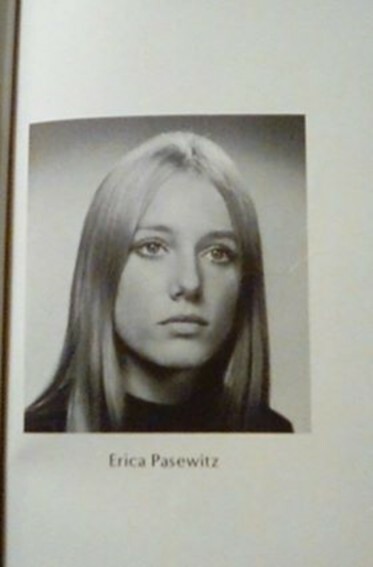 “I headed north after graduation, to Connecticut College, followed immediately by Boston University School of Law(1973). From there I settled In Portland Maine. Wheatley was a great experience for me on so many fronts. I love Maine but miss that I am not in touch with any of the people with whom I graduated with from high school. I have described my law school experience as having a new operating system installed in my brain…..taught me how to think in a very disciplined way. I was also fortunate to have taken a small third-year seminar with Howard Zinn -one of few courses you could take for credit outside of the normal curriculum— it was truly fantastic. I thoroughly enjoyed our Class’s 50th-year reunion. It is wonderful that so many of us loved our community so much that after all these years, we still keep in touch, and are touched by both our former teachers and friends. We were all very lucky to have grown up in that community at that time. We had freedom that some of our grandchildren do not have now. We played kickball in the streets before bedtime in our pajamas; we had milk delivered to our doorstep; and we ran through the fog of the foggy man, without worry. We attended small schools, and most of our neighbors stayed within the community for as long as we can remember. Not only did we know all the kids on the block, but we knew their parents and, in essence, had many sets of parents within our neighborhood. How many of us have that now? For me, School was a happy place, and as a retired teacher, I know that that isn't always the case with some of today's children. Our teachers left a lasting impression. But, I also remember that teachers were respected and parents and administrators let teachers teach, which is not the case today in many schools. I believe that life without some of today's technology made us better learners. Mr. Devlin and Mr. McCormack had us use sheets of graph paper and, of course, pencils to keep our columns straight, as we persevered and took pride in getting the answer correct. We were involved students, with plenty of support from home. Times were different. I thank all those teachers who helped shaped the person I am today. I thank all my neighbors, for surrounding us with love. And of course, to our many classmates who made a world of difference in our world, both big and small. And, naturally, to our parents, who loved us. Thanks, Arthur, for allowing us to express ourselves. “Dear Art, You bring us all back to a time when we were younger (and some of us) were more innocent. You remind us of the fabulous educational opportunities we were privileged to participate in, the vast array of extracurricular activities Wheatley offered, such as The Wheatley Wildcat newspaper, Vintage literary magazine, The Golgi Review, Model UN, American Field Service (foreign exchange students), Future Teachers of America, drama, yearbook, orchestra, choir, sports and cheer and so many others. 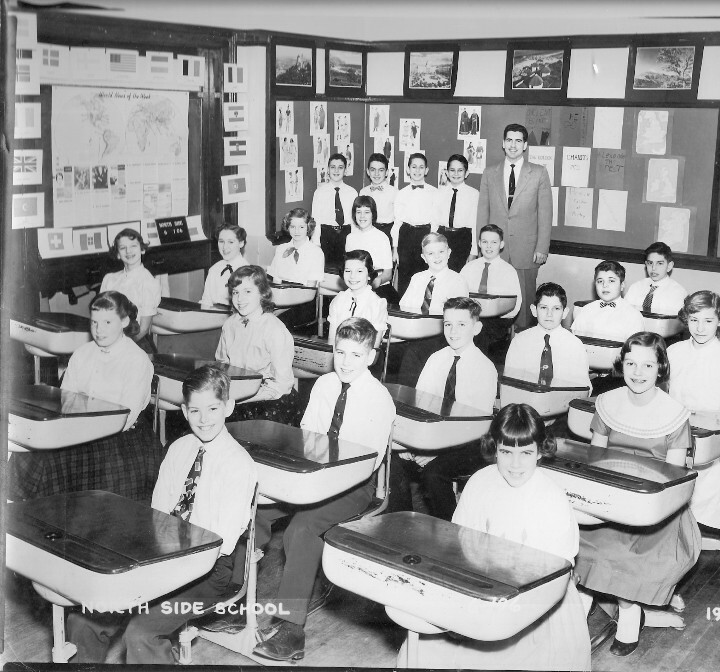 We had outstanding teachers, including (in no particular order) Mr. Loring, Mme Feindler, Mr. Tchack, Mr. Nixon, Mr. Nolte, Dr. Ouchi, Mr. Pagliaro, Miss Bodnar, Ms. Bogert, Mr. Seiderman, Mr. Levin, Mr. Campi, Mr. Agatstein Ms. Kleinsinger, Ms. Wilfert (guidance counselor) and many others. At Wheatley we not only learned so much academically, but we were also exposed to important values such as social justice, tolerance, acceptance of diversity (even the minimal diversity embodied by the economic and religious differences of our small towns of Mineola, Old Westbury, East Williston, Roslyn Heights and Albertson). We didn't all come from one small town with a central school district, but we did make our own community. I continue to be amazed by the biographies of our alumni, many of whom are leaders in the arts, sports, nonprofits, academe, medicine and the law. When I saw the educational system in my state, Arizona, I realized that the only way my children could have had a similar education was to put them in private school (and in Arizona children can attend any school in the state, regardless of their residence). Wheatley offered that kind of education to many students who could not have afforded a private education, and it became the school of choice to many whose parents could have easily paid for a private education. For many of us who have lost our parents, our siblings and our childhood homes, Art, you provide us with our roots, good memories and strengthen the thread that carries us from childhood to our present day. You help us to know that in addition to our present homes, we had a previous life, a wonderful past. Thank you! I just sold one of my homes and the Realtor representing the buyer told me that while her office manager was looking over her shoulder as she was making copies of the sales contract that he asked her to see if the seller, "Joseph Sciortino", had ever gone to the Wheatley School on LI. He turned out to be Steve Weil (1965). (became “Squire” after Wheatley) – Deceased. “I met the love of my life, Robert Drapkin, online just about two years ago. I moved into his Brooklyn apartment about six months later, and, last July 2017, we got married. I'm blissfully happy. The one thing that tempered our joy was the death of my mom, last March 19. After nudging me my entire adult life about being single, she didn't make it to my wedding. 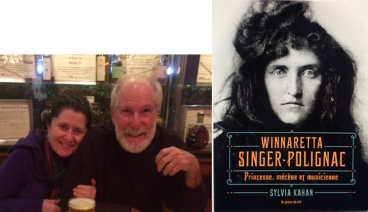 I've enjoyed a number of professional milestones and accolades in the last couple of years, but the most important one is coming up: my 2003 book, Music's Modern Muse (U. of Rochester Press) will be released in a 2nd edition and French translation in May 2018, under the title Winnaretta Singer-Polignac: Princesse, mécène et musicienne (Les Presses du réel, Dijon) (cover below). I'm so excited, and Robert and I will spend the month of June in France, alternating promotional events and readings throughout the country with some tourism. Advocate – Dorothy writes: Below is a link to my new American Prospect piece about yet another outrageous development for reproductive rights and respect for the rule of law. The focus is Planned Parenthood's recent filing with the Supreme Court seeking high court review and correction of a lower federal court's egregious flouting of Supreme Court precedent protecting abortion access. What make the case so striking - apart from its threat to leave Arkansas with no provider of medicine abortion and only a single provider of surgical abortion for the entire state - is that the abortion restriction at issue is almost identical to one the Supreme Court struck down less than two years ago. Which explains my title: Abortion, the Supreme Court, and a Troubling Case of Déjà vu. He leaves behind brother Richard, 1968. Deceased. Sadly, our sister, Mindy Buckner passed away at 9:30 on Tuesday, January 30, 2018 after a ten-month battle with cancer. As her husband Ralph Goldstein said, never once was she bitter or angry. She lived her last months with grace, determination, humor, and love. We will miss her so much, and I know she lives on in our hearts. Thank you, Mindy, for teaching us to appreciate each day. Mindy leaves behind Leslie (1967), Janice (1968), Harold (1970), and Toni (1975). Deceased. “John Scott Kracke, Sr., of Darien, CT, passed away suddenly on Monday, January 22, 1968. He was 63 years young. Born September 1, 1954 in New York City, Scott spent his early years in East Williston and Windham, NY. 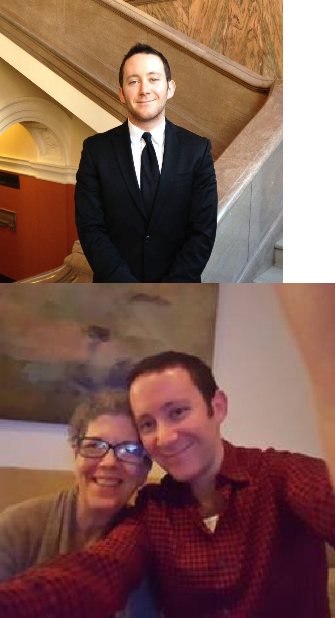 Son of Helmut John and Dorothea (Hayden) Kracke, and brother to Janet Kracke Perkins (1970), Scott attended The Wheatley School in Old Westbury, NY. 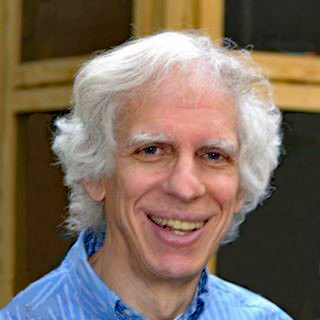 He received a Bachelor's degree in Business Administration from Southeastern Massachusetts University; a Master of Science in Business Administration, Industrial Relations from the University of Massachusetts at Amherst; and a Juris Doctor degree with a focus on Banking, Corporate Finance and Securities Law from Fordham University School of Law. He worked for the NY Governor's office under Hugh Carey and held various senior sales positions at Merrill Corporation, RR Donnelly, Morrow & Co. and Toppan Vite. Scott had an encyclopedic memory, literally…..he read the entire Encyclopedia Britannica at an early age. He was endlessly curious and had an amazing memory. So much so that he was almost always right, or at least never in doubt. He loved his family, friends, debating fine points of law and policy, and fishing. One of the happiest places in the world for Scott was on his boat, early mornings on Long Island Sound, trying to talk Bluefish and Stripers onto his line. He was often successful, but even on the occasional situations where he was not, his ability to tell a tall (fish) tale kept audiences enthralled. He was a big man, with a big voice and a big heart. In addition to his parents, his sister, and her husband Randy, Scott is survived by two sons, John Scott, Jr. and George Maxwell. Please consider a donation to the John Scott Kracke Memorial Fund, c/o People's United Bank, account #6500782064. 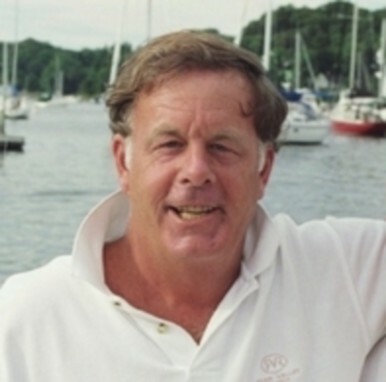 Mailing address is c/o George Kracke, 45 Church Street, Apartment 1K, Stamford, CT 06906. Man in the News. “The system simply ‘isn’t successful anymore,’ said Daniel Weiss, the Metropolitan Museum of Art’s president and chief executive. He said his institution is the only major museum anywhere that relies on voluntary fees and doesn’t get most of its revenue from the government. So, starting in March, non-New Yorkers will have to pay $25, though students and the elderly will be charged, respectively, $12 and $17. The only exceptions are students from Connecticut and New Jersey. Pay as you wish remains in place for them. The same goes for New Yorkers. In effect, they will be carded, forced to produce identification — a driver's license, a library card, a bank statement — that shows their address. The new system is in line with prices charged at some other institutions, like the Museum of Modern Art. It's not expected to produce torrents of new money for the Met, though. Mr. Weiss put the projected extra revenue from non-New Yorkers between $6 million and $11 million. New York City's government — which has given the new policy its blessing and contributes more than $27 million a year to help cover the museum's operating expenses — spends $6 million every 35 minutes or so. It's tempting to ask if the Met couldn't have found other sources without compelling some visitors to pry open their wallets. Indeed, some are already asking. Among those giving the change a thumbs-down are The Times's chief art critics, Holland Cotter and Roberta Smith. Still, one can sympathize with the museum, even if some of its financial woes are of its own creation across the years. Mr. Weiss calls the new revenue both meaningful and dependable. It's hard to imagine vast numbers of foreigners or out-of-staters, already paying sacks of cash to tour New York, refusing to set foot in the Met because $25 will now be demanded instead of requested. Daniel Weiss explains why The Met Raised it's Price. Arthur, I love reading the Wheatley Newsletters. It's wonderful to hear about and sometimes from our teachers as they come up in the successive newsletters. My three sisters and I all went to Wheatley (we lived about a mile from the school on Glen Cove Road, where my parents still live). My sister Marla graduated in 1987 and then went on to the University of Miami for a combined college/medical school program. My sister Lorna graduated in 1990 and went on to Cornell and subsequently NYU business school. Jessica then graduated in 1993 and went on to Yale. I graduated from Wheatley in 1989, then Harvard College, followed by Cornell Medical School. I then completed a residency in Orthopedic Surgery at the University of Pennsylvania and subsequently a fellowship in Joint Replacement Surgery at Harvard Medical School's Massachusetts General Hospital. I returned to Long Island after my training for my medical practice and now work as the Chairman of Orthopedic Surgery at Peconic Bay Medical Center, which serves the East End of Long Island. Interestingly, many parents of my former classmates have moved to the East End of Long Island for retirement and so I see them as patients, and I have also cared for and continue to care for some of my prior teachers from Wheatley and their families who have also moved out East. PS: One other interesting Wheatley connection I'd like to mention. 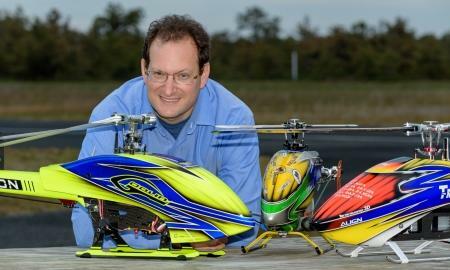 One of my colleagues at the hospital I work at, Peconic Bay Medical Center, is Dr. Eugene Krauss. He is a very prolific Orthopedic Surgeon. When I was at Wheatley, I was there with two of his three children. Jourdan was 1 year behind me, and we were in band together. Nicole, who became a well known author, was I three years behind me. It's interesting how many of us “Wheatley People” are linked together. Proskauer Rose in New York. After graduating from Wheatley he attend the George Washington University. He then briefly worked at the American Federation of Teachers before going to the University of Pennsylvania Law School. There, he became involved with a number of extracurricular programs and served as the President of the law school’s student government in his final year. He is now living in New York and has developed a new hobby of writing opinion articles in local publications. Kia is currently an engineer at The Boeing Company. She recently visited the Massachusetts Institute of Technology (MIT) for a recruitment event. Participants went around the room stating where they were from. Both Kia and Todd Glickman stated that they were from Long Island, so after the meeting they approached each other to find out more. They quickly found out that not only were they both from Roslyn Heights and graduated from Wheatley, but they grew up in houses right across the street from each other! Todd Glickman is Class of 1973 and is the Senior Direct of Corporate Relations for MIT, as well as a certified broadcast meteorologist. Overall it was a great event of two Wheatley alumni crossing paths and exchanging stories about the wonderful high school. 1959 (Matthew Sanzone) - Well done, again. I love the newsletter. 1960 (Albert (“Al”) Jerome) - Thank you for the considerable effort you make on behalf of all graduates of Wheatley. I certainly appreciate it. 1960 – Donna Maxfield Chimera - Enjoyed the newsletter. 1961 (Gene Razzetti) - Really nice job. 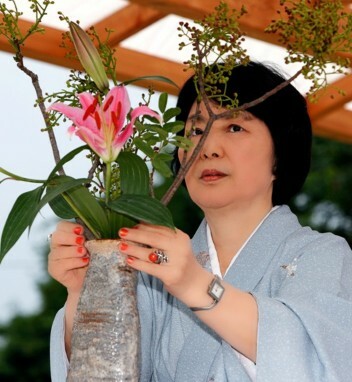 1961 – Ayako Yasuda Graefe - Thank you very much for sending me interesting newsletters regularly. I was a Japanese exchange student at the Wheatley school 1960- 61 and now live in Germany. I appreciate your effort of editing all the news, because I know it is a lot of work. But through your newsletter I found that Lauren Jacobs Komack, my American host sister during my Wheatley time, passed away. I was shocked and contacted her sister and brother right away, so now I am in contact with the rest of my host family again. 1962 (Carol Keister McCormick) - Thanks for keeping us up-to-date on Wheatley stuff. 1963 (Elizabeth Stone Matho) - Thanks so much for putting together another terrific Wheatley newsletter! Your time and effort on behalf of all of us is very much appreciated and really binds us together in a new way. 1964 – Theodore Rothstein - Love your newsletter. 1964 (Roberta (“Bobbi”) Wallace Silverman) - Many thanks to you for sending these newsletters. I thoroughly enjoy them. 1965 (Penny Asbell) - THANK YOU- I really enjoy these newsletters and appreciate your efforts to gather and share this information. 1965 (Ike Evans) - Thanks Art. Great job as always. 1965 (Lynne Levinthal Barr) - Thank you so much for your hard and dedicated work. 1966 (Katherine M. Maxim Greenleaf) – Arthur - really appreciate your work on this newsletter. I miss that I am not in touch with any of the people I graduated with from high school. So, I enjoy your updates and appreciate the time you have put into the newsletter. 1966 (Peter Quandt) – You’re doing yeoman work as Wheatley scribe. 1967 (Frank Lawkins) - Thanks for your hard work. I appreciate it. 1967 (Joe Sciortino) – Keep up the great work. 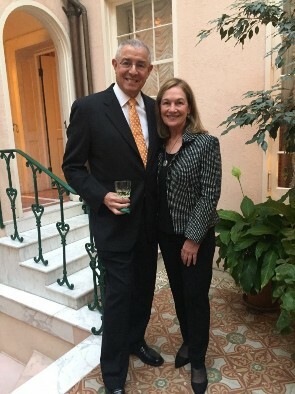 Wheatley love and have so far enjoyed 48 years of married life (although I met him in 1965…..good old Varsity Revue). Thanks again for your dedication to our memories. Fortunately, I still keep in touch with a few “old” friends. 1967 (Nancy Stevens) - I love your emails!! 1967 (Joseph Tartaglia) – I enjoy reading the Wheatley Newsletters. 1968 (Ellen Alpert Aronow) - Impressive work! 1968 – Joane Filler-Varty - Thanks so much for all of this effort - the collaboration and stories are heart-warming, and, as others have noted, underscore how fortunate we all are to have attended Wheatley and been so enriched. PS: Thanks for passing my message on to Esther Weinstock Birnbaum (parent). We connected and had a wonderful, nostalgic time catching up. 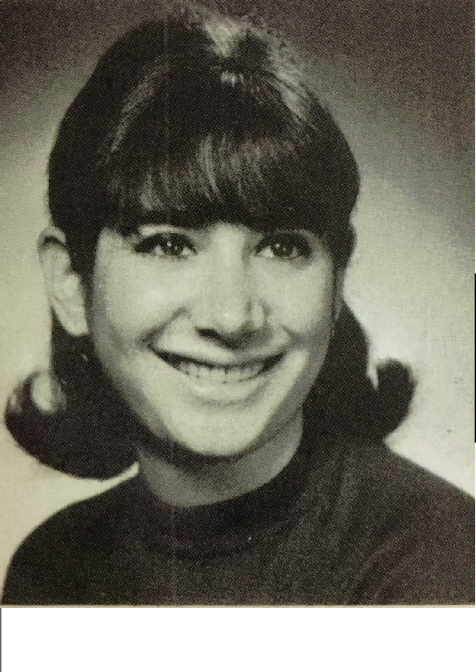 1969 (Marian Edwab Lebrun) - Thanks for keeping me up to date with our fellow classmates! 1970 (Robert Abramowitz) - Nice work, Art! I really enjoyed it. 1970 (Andrea Chock-Carlin) - Hi Art, Happy New Year 2018! Thank you for your efforts, keeping us informed and connected to that formidable time in our lives when we didn’t even realize how privileged we were to be Wheatley students. Hearing about triumphs and, unfortunately, inevitable sorrows reminds us just how fortunate we were to live and learn amongst some of the best of our nation, in a progressive and open minded learning environment, many who went on to achieve greatness and legacies that will remain for generations. I have never been so proud to be a Wildcat and sincerely thank you, once again, for being that organizer and your caring enough to follow through with your communications. Middle member of the Chock girls, corner of Club Drive meeting place! 1970 (Jim Nordlinger) - I appreciate the effort you make in getting this out to all of us old Wheatley folks. 1970 (Victoria Unger Hochman) - Thank you for the updates in your newsletters. It’s wonderful following the stories of our classmates. 1972 (Susan French Congero) – Keep up the good work! 1973 (Randi Korn) - I loved reading the note from Bob Brandt. 1974 (Isidore Mayrock) – Arthur, You are one funny person. Your description of being bundled up inside, and “send me your bio before some else sends me your obit.” Very funny. Thank you for the good work you are doing keeping the community connected. 1975 Victoria Beio Swaringen - I just wanted to thank you for all of your hard work, devotion, creative planning and informative newsletters that keep us all connected! You do an amazing job and we all are so very grateful. 1976 (Thomas Behan) – Thanks, Art, for the updates. Happy and Healthy New Year to our alumni and their families. 1976 (Amy Feldhun Handy) - I had a great time at the 60th Anniversary Celebration. Thanks for all the hard work. 1981 (Lynda Goldfarb Pinsk) - You are great with the Wheatley news!! 1983 (Andrew Peter Saridakis) - Thank you very much for all your efforts keeping track of all people, places and things related to the Wheatley Community! 1985 (Paul R. Sasso) – Thank you. 1987 (Ron Starr) - Thank you for these newsletters. I think back fondly of my days at Wheatley, and these letters containing information about the teachers and students are always great to read. Your work and efforts are greatly appreciated and mean a great deal to me personally. 1987 (Sarah Steinbaum) - As always, entertaining to read and a nice reflection of childhood. Thanks for putting this together. Wishing you and yours a very happy and healthy New Year. update. Thanks again for the tribute to PFC Nuebel. That’s it for Issue # 17. Yes, please send me your bio before someone else sends me your obit.